Charles F. McKim, “Charles F. McKim,” Histories of the National Mall, accessed April 23, 2019, http://mallhistory.org/items/show/116. 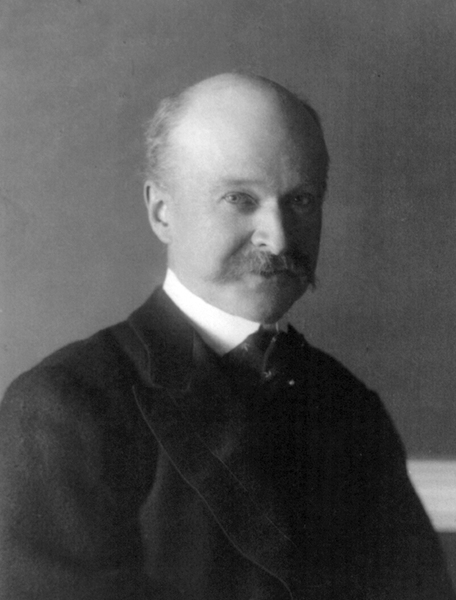 In 1901, Charles McKim was appointed by Senator James McMillan to the Senate Park Commission, which was meant to suggest improvements to the National Mall. McKim was a dominant voice in the Commission, recommending a return to the 1791 design proposed by Pierre Charles L'Enfant and extending the boundaries of the Mall to include the site designated for the Lincoln Memorial. Because of his work on the McMillan Commission, McKim was chosen by President Theodore Roosevelt in 1902 to remodel the White House. Charles Follen McKim was born in 1847 to abolitionists parents. McKim studied at Harvard, then left the country to continue his architectural education in Europe. In the late 1870s McKim became a founding partner in McKim, Mead & White, a leading architectural firm of the time. The firm's work helped to make classical Georgian design the dominant architectural style of the era. McKim worked with Daniel Burnham on the design of the Court of Honor for the Chicago World's Fair of 1893. Some of his most famous work include the Boston Public Library, the Morning Heights campus of Columbia University, and New York's Penn Station. Richard Guy Wilson. "McKim, Charles Follen"; http://www.anb.org/articles/17/17-00571.html; American National Biography Online Feb. 2000.